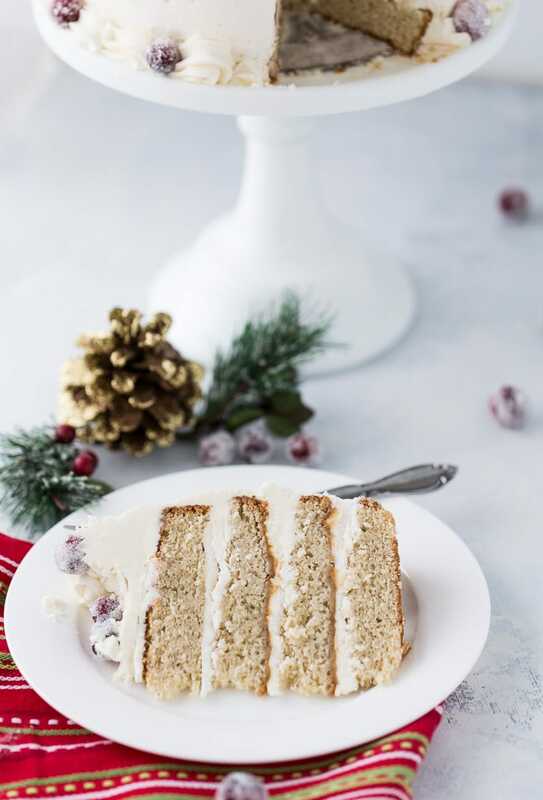 Thank you Universal Pictures for sponsoring this Eggnog Bourbon Cake recipe to celebrate the upcoming holiday season and release of the new movie ALMOST CHRISTMAS in theaters November 11th. Now that Halloween is far behind us, the holiday season is in full effect and with that comes holiday movies!! This year, I am looking forward to ALMOST CHRISTMAS, a comedy bringing together families for the holiday season and of course that comes with some drama. The film has an all-star cast featuring Gabrielle Union, Omar Epps, Mo’Nique and so many more. We all know family dramas and food is what the holiday season is made of. I always focus on the sweets instead, it’s easier and safer to satisfy everyone. 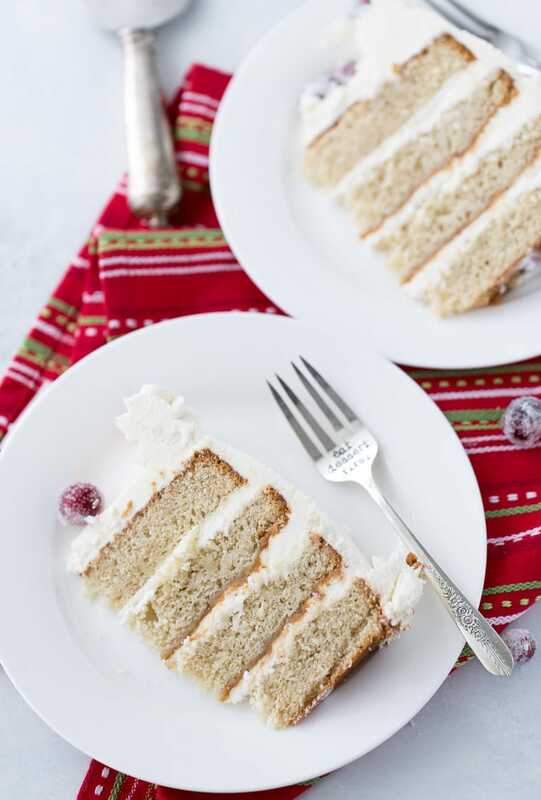 Like this eggnog bourbon cake! Eggnog is a debatably one of those family controversies in our family where half of us can’t do it and the other half can’t have a holiday without it. From Thanksgiving to Christmas, my father-in-law makes sure there is enough eggnog for all. 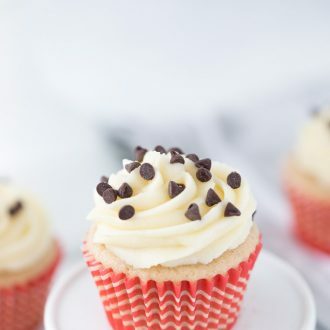 Two years ago, I found a way with these eggnog cupcakes with bourbon frosting to bring everyone onto the same side. It was hit and we always have some for our holiday gatherings now. 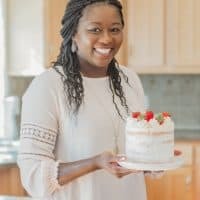 This year, I turned that favorite recipe into this holiday season spectacular Eggnog Bourbon Cake. 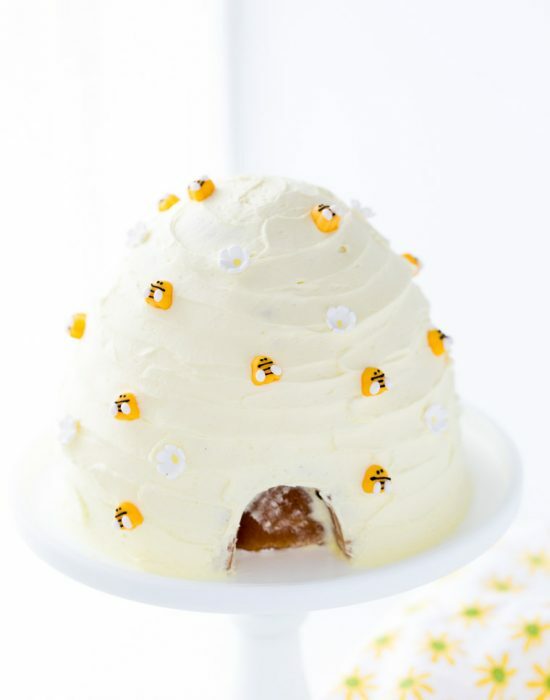 This cake starts with a soft, moist and fluffy eggnog cake. I thought as a cake the recipe might be a bit dense but I mixed the eggnog with milk to lighten it up and the resulting cake was just as fluffy as the cupcakes. 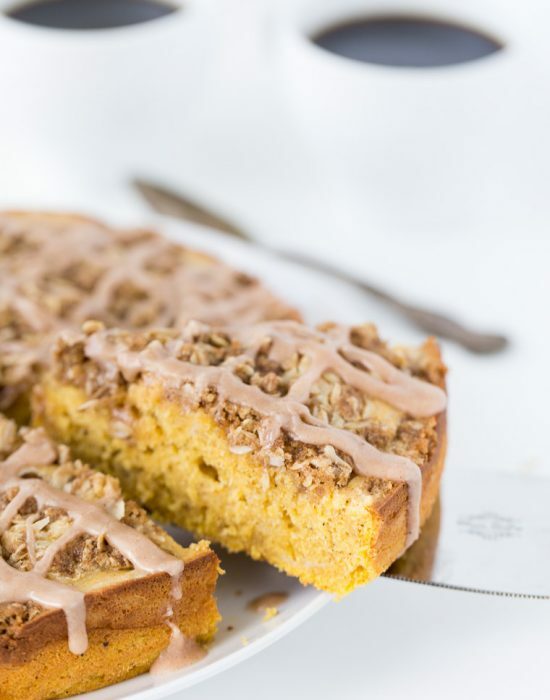 The spiced up cake and dash of bourbon adds a great flavor to the already delicious cake. 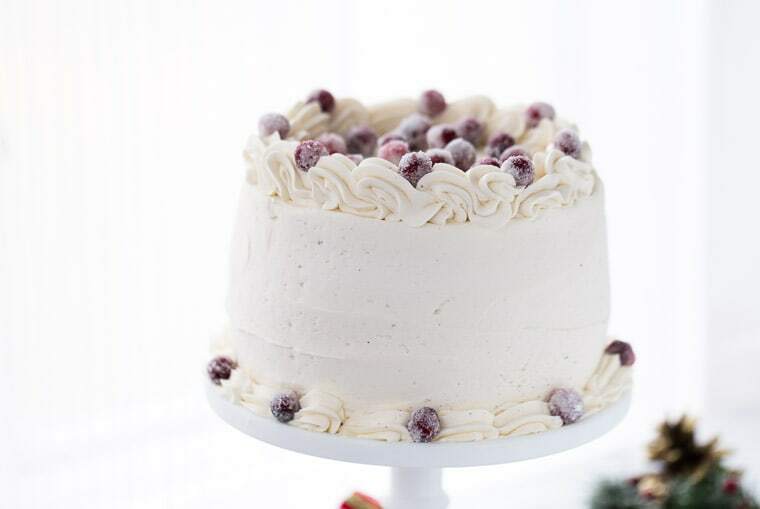 The cake is then filled and wrapped in a whipped eggnog bourbon buttercream. 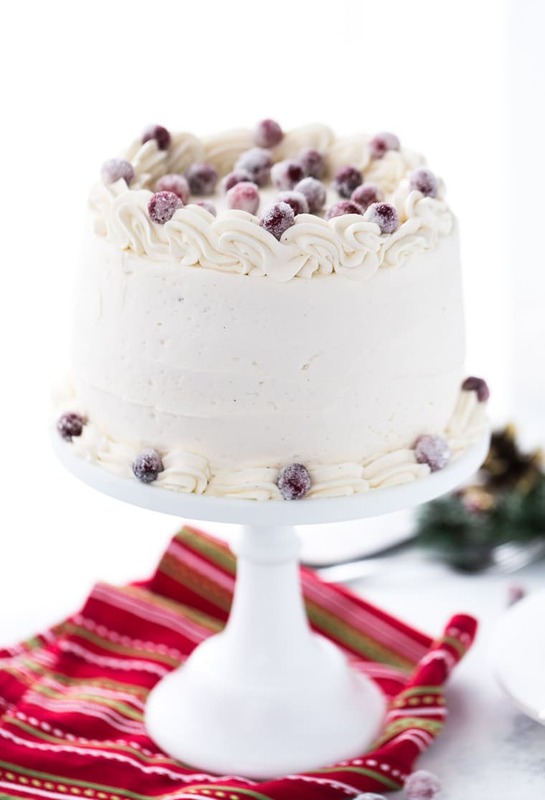 Just the perfect combination for an elegant holiday season cake. 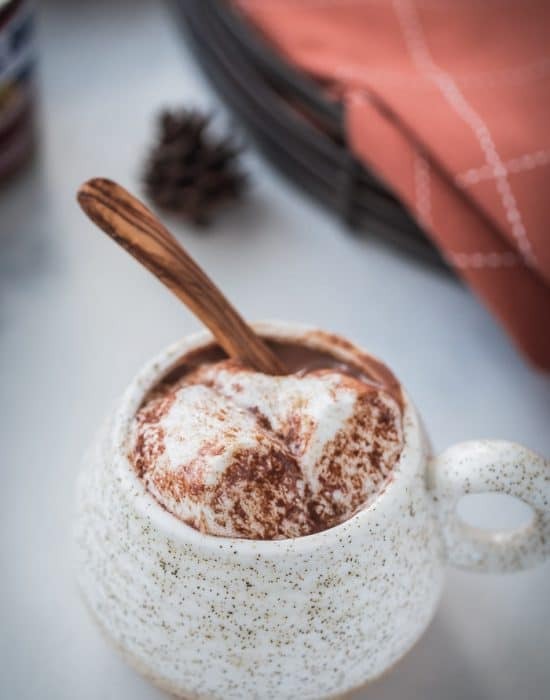 Even though I can’t agree with the half of my family that drinks eggnog, I love baking with eggnog and can share new holiday recipes and traditions with my family. It’s all about making memories at the holiday dinner table. Just like the family in ALMOST CHRISTMAS that get together during the holiday and try to get along. Be sure to watch the trailer below and then make a date with some of your family members to see the film in theaters to get into the holiday season spirit. 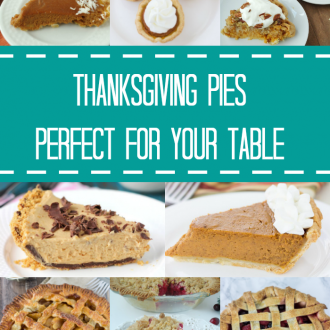 What are some of your favorite holiday recipes for your family? 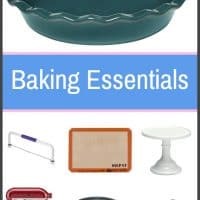 Preheat oven to 350 degrees F. Line two 8-inch round cake pans with parchment. Grease the parchment. In a medium bowl sift together flour, salt, baking powder, baking soda, cinnamon and nutmeg. In the bowl of an electric mixer, cream butter and sugar until pale and fluffy, about 5 minutes on medium speed. Add eggs one at a time, beating until combined after each addition. Beat in vanilla extract and bourbon. In a medium mixing cup, combine the eggnog and milk. Reduce mixer speed to low and slowly add about a third of the flour mixture. Add half of the milk mixture, another third of the flour and the rest of the milk and ending with the rest of the flour, mixing well after each addition. Beat until just combined. Scrape down the side of the bowl as needed. Divide batter evenly into prepared pans. 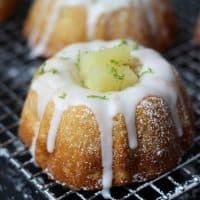 Smooth the surface and bake cakes until lightly golden or a toothpick inserted into the center comes out clean, about 30-35 minutes. Cool in pan for 10 minutes, then remove from pan and finish cooling on a wire rack. 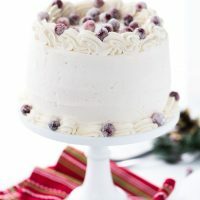 Frost cooled cake layers with frosting and garnish with sugared cranberries if desired. I love baking with eggnog. I can never get myself to drink it as is and baking is the easy solution!! Thank you David! I love baking cakes 🙂 A slice is on its way! What a gorgeous cake, Zainab! I’m in love with those pretty layers and the eggnog in here. 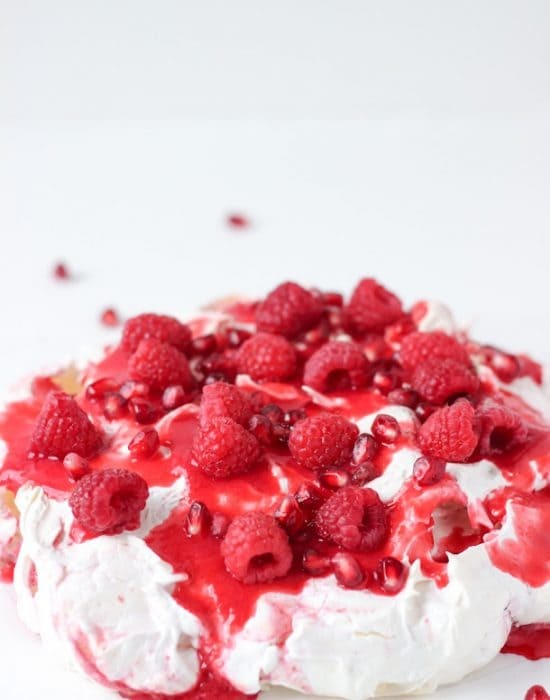 What a great dessert for the holidays! It is perfect for the holiday!! Forget dinner an a movie. I need cake a movie asap! 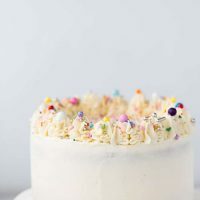 Eggnog bourbon cake – what is better than that….such a perfect idea for the holiday and makes a beautiful centerpiece, too! This cake is SO pretty! I don’t like drinking eggnog but I LOVE to bake with it! 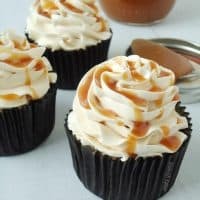 And this bourbon frosting…. 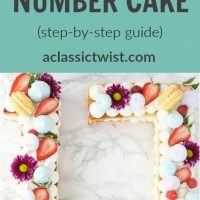 Did you double this recipe for four layers, or did you cut the two layers in half for the cake pictured? I cut the two layers in half for the cake pictured! Simply a gorgeous cake. Love the flavour combinations.